Khao Yai is Thailand’s oldest national park and a place of remarkable natural beauty. Part of the World Heritage listed Dong Phayayen-Khao Yai Forest Complex, it covers over 2,000 square kilometres and extends across four provinces (Saraburi, Nakhon Nayok, Nakhon Ratchasima and Prachinburi). 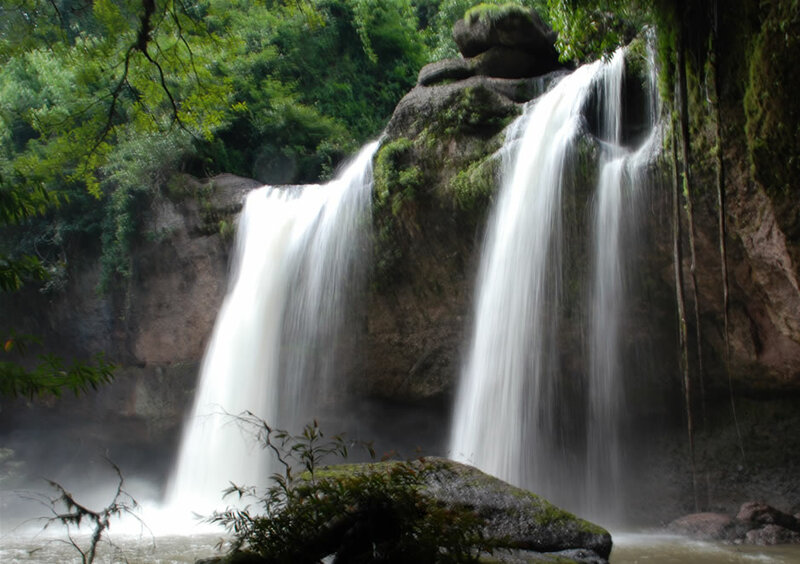 Khao Yai is famous for its spectacular waterfalls, including Heaw Suwat (pictured below), settings that have attracted international film makers. Khao Yai’s forest is home to a multitude of wildlife, including Gibbons, Macaques, Civets, Great Hornbills, Butterflies and Elephants, to name just a few. Around 2,000 species of plants also flourish the park. FREELAND has been working in Khao Yai to help protect the park’s amazing flora and fauna for many years. FREELAND assists with ranger training, wildlife monitoring, and community outreach programs. For further information about Khao Yai National Park, download FREELAND’s Khao Yai Sustainable Visitor’s Guide (PDF 275kb) including a Sights & Trails Map, or visit the websites in our ‘Links’ section.